Weldco-Beales Manufacturing designs and manufactures specialized heavy equipment attachments for OEM’s dedicated to servicing the construction, forestry, mining, scrap recycling, road maintenance and resource industries. Our continuous improvement philosophy has developed a culture that encourages new ideas and processes, provides the most value to our customers, and fully supports a safe work environment. We are committed to continual growth and exploration of new opportunities that capitalize on our strengths to better serve an expanding market. How is Weldco Attaching Value? Since 1945, Weldco has attained a strong wealth of knowledge, experience, skills, and technologies to build value for its customers. This enables the company to continuously create and deliver unique solutions. With Weldco, customers can be confident that they will always receive the highest quality products. Weldco is recognized throughout the industry for their ability to maximize customers’ value through superior performance and outstanding service. Our service‐oriented approach is the foundation of our business. Our goal is to go beyond the customers’ expectations. We demonstrate honesty, integrity, and ethical behaviour in all of our business practices. Weldco’s in‐house engineering and design team uses the latest CAD and Finite Element Analysis software to design and develop solutions to support diverse market applications. We can provide 3D solid models, in static or dynamic motion, on new products that enable you to view your attachment prior to manufacturing. Weldco’s skilled workforce of Journeymen and Apprentices in the Welding, Machining, Heavy Duty Mechanics, and Millwright trades are using the most contemporary fabrication and machining equipment. This enables Our Canadian Welding Bureau (CWB) certification, committing us to meet the most rigorous requirements of the welding profession. 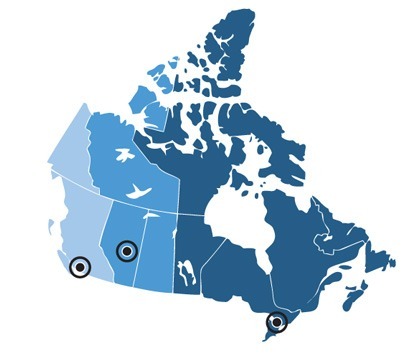 Plants and offices are conveniently located across Canada and the United States, offering a combined 255,000 sq.ft. of manufacturing space. We take pride in supporting a variety of charitable causes, such as the United Way and YMCA. If your charitable group is interested in receiving support from WBM, and the project or cause meets our giving guidelines, please apply online or download our application form. People come first at WBM. To that end, we are committed to providing our people with comprehensive safety training to support our standing as a recognized industry leader. From job shadowing to mentorship programs, we provide new employees a gradual introduction to the work environment. We support ongoing professional development to keep pace with changing technologies and practices. WBM is committed to operating in an economically, socially and environmentally sustainable manner while recognizing the interests of our stakeholders, customers, employees, business partners, local communities, environment and society at large. Weldco-Beales Mfg. is a member of the Inuvialuit Development Corporation (IDC), which represents the Inuvialuit of the North West Arctic. Inuvialuit Development Corporation (IDC) is a 100 per cent Inuvialuit-owned for profit holding company, with a wealth of experience growing leader businesses in a variety of industries. IDC has cultivated a diversified, growth-oriented portfolio as the business arm of Inuvialuit Regional Corporation (IRC).